Surrounded by National Parks, Golden & Area A has a rare and enviable opportunity to plan, develop, maintain and market its natural capital through trail systems, leading to improved community economic development (CED) initiatives and sustainability. At the "30,000 foot level," over the last 15 years, dedicated individuals with Golden Backcountry Recreational Access Commitee (GBRAC) have poured over maps of every square foot of the Golden Timber Supply Area (TSA) and created a guiding document for both motorized and non-motorized trail users and tenure holders. At the "ground level," the community has a very active Golden Cycling Club. In recent years, this club has turned from hosting the world-famous Mount 7 Psychosis to building and maintaining the Moonraker Trail System on the West Bench. 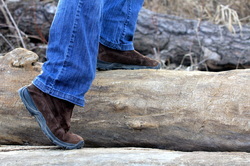 In 2013, the Mountain Shadows trail system was approved. Each year the trail network expands as they find more members and more funding opportunities. Never to play 2nd fiddle in the fundraising game, the Golden Nordic Ski Club has just completed a $1M lodge for when the snow flies and has successfully hosted the Canadian Masters in 2011. Meanwhile the Golden Snowmobile Trail Society has just built a trail from the Gorman Lake Parking Lot to Quartz Creek. There in no doubt that these groups are doing great things for their users and the community. However, there are very few designated hiking trails, where the vast majority of tourists are interested in and all of these trail assets have constant challenges with access issues. This fragmented and sometimes very competitive situation has limited our social, economic and environmental development opportunities. Aside from these natural landscape issues, Golden & Area A can be challenging to access. Once one is here, it is very natural for locals to move from the Kicking Horse Canyon to Confluence Park and the many recreation facilities. But for those new to the area, it isn't so easy to get around. Getting around Golden's riverfront can be made easier by continual improvements to signage, trails, trail heads, road and rail crossings. Larger scale, master planned access projects can include additional pedestrian bridges, trail paving, parking, specialized parks, toilet facilities and picnic areas. If there is interest from the above mentioned user groups (and many others not mentioned), a trails coalition can help to develop long-term plans, address access, trail head and maintenance issues and secure core funding through local government and industry. In 2013, the Community Coordination project brought in representatives from Trails BC, the Trans Canada Trail, Columbia Valley Greenways Trail Alliance and the Kootenay Columbia Trails Society to share ideas and see if there is interest in bringing these many local groups together to provide better opportunities for all. Now it is up to individuals and groups to come together. BC Recreation Sites & Trails has developed a 10-year plan, which can be found here. And another great resource is the BC Ministry of Forests' chapter on Recreation Trail Management. 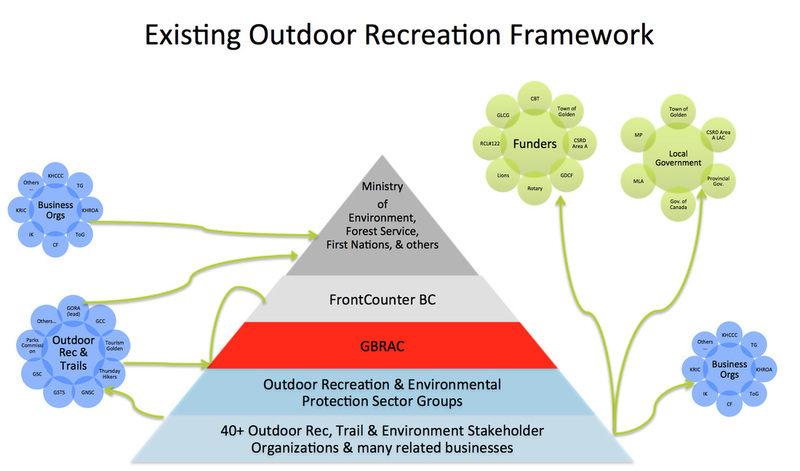 A very extensive web resources on the Golden Backcountry Recreation Access Plan (GBRAP) is available on the BC Integrated Land Management Bureau's website. This resource includes the history of the process, the stakeholders involved in it's creation and 6 detailed planning maps of the area. On the hiking front, hiker extraordinaire Kevin Finnegan has developed GoldenHikes.ca to share information on accessing the many hiking trails in Golden & Area A. Mr. Finnegan has also outlined some steps that could be taken for local hiking trail development. As of 2015, Golden Outdoor Recreation Association (GORA) has taken over the GoldenHikes.ca website, but as of May 22, 2015, changes have not been implemented. For bicyclists, Golden Cycling Club has developed a very detailed and often updated, trail maps and website. 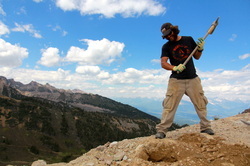 And Kicking Horse Mountain Resort has one of the longest vertical drop downhill mountain biking trail systems in Canada. The CSRD, where most of the areas trails are located, supports an Area 'A' Parks Commission, but there are no publicly available minutes since 2011. In 2011, Golden, Rossland and Whistler worked with Tourism BC to document the economic impact of biking trails in each community (through an input-output model). In 2009, the Golden Snowmobile Trail Society did a similar study on local snowmobiling impact. These reports can be found below. "Do they know about the recreational opportunities available to them? Can they get to the trail heads easily or are they unmarked, unmaintained and regularly inaccessible? Do the graded trail difficulties align with the target visitor abilities? And are we utilizing available resources in a way that plans for future trail development, maintenance and marketing?" Sponsored by CBT and led by Lynda Lafleur, a Regional Trails Meeting was hosted in Golden, BC, on June 20, 2015 at McLaren Lodge. Invite-only reps from Fernie, Cranbrook, Golden, Rossland, Castlegar, Slocan Valley, Columbia Valley, Valemount and Kimberley attended. A draft of the minutes can be found below. Coming out of the meeting, Trail Towns was a recommended US-based resource for Basin communities to check out. There are "many reports, studies, and resources have been produced by either the Trail Town Program® or partners including the Allegheny Trail Alliance, Oil Region Alliance, and Rails to Trails Conservancy," which provide examples of trail user surveys, business surveys and economic impact analysis. Golden Backcountry Recreation Access Committee (GBRAC) continues to meet a few times per year, most recently on May 19, 2015, to discuss current issues and conflicts with the land-use management plan. 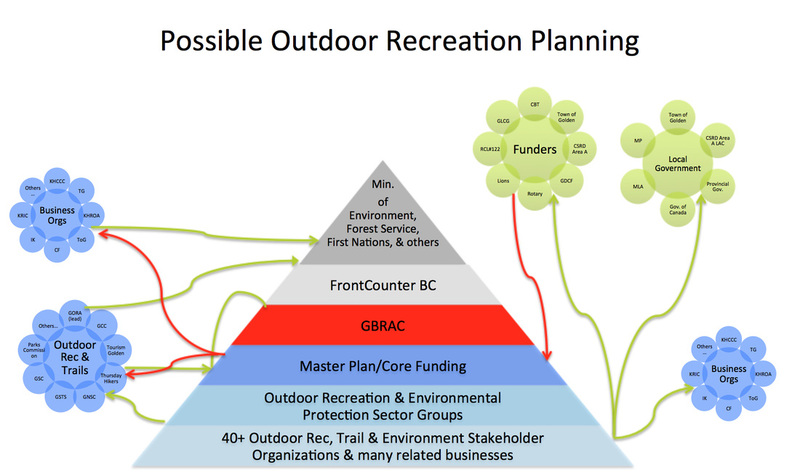 GBRAC has created a Plan (GBRAP) that has determined which parts of CSRD Area A's 13,000 square kilometers should be for motorized or non-motorized recreation. Cuts in provincial government staff has resulted in challenges with communication with FrontCounter BC. Applications or changes to tenure are not always making their way to GBRAC to weigh-in on, which can make it frustrating for the Committee of sector-reps. It is not certain when the provincial government will reengage GBRAC to the degree that they once were. In the meantime, small, rural communities like Golden & Area A, and their dedicated stakeholders may have to look internally to collaboratively and pro-actively address future land-use issues. With fewer consultations from the Province, it becomes more important for the community of Golden & Area A to collaboratively plan where they would like to see outdoor recreation (motorized and non-motorized), development and conservation. Here is one way to visualize the current system (left) and a possible master plan-focused/core-funded addition (right). On October 24, 2013, Mark Halwa, Chair of the Columbia Valley Greenways Trail Alliance, presented to a room full of local trail enthusiasts. Mark had attended the International Mountain Biking Association's (IMBA) three day World Summit in Santa Fe, NM on October 10-13, 2012 to find out how other trail users around the world are developing, funding and maintaining trails for all kinds of outdoor users. The event was sold out, with 350 delegates present from places as far away as Singapore and Israel. The successes and failures that were shared have a lot in common with the Columbia Valley – so Mark took notes, pictures and emailed all the speakers to ask for their presentations. The three days of material was condensed into an hour and he presented the highlights in Golden on Thursday October 24th. After the IMBA summary presentation, Mark outlined how the CVGTA has integrated lessons learned from other trail groups. He also made the standing offer to work with Golden's trail groups. Then a discussion about the merits, challenges and actions moving forward took place. These actions were documented and shared with the meeting participants to keep the conversation going. The PowerPoint slides from both the Community Coordination project and the IMBA and CVGTA presentations are posted below as a PDF. Event: What is a Trails Alliance? On July 13, 2013, Stewart Spooner, Trails Manager of the Kootenay Columbia Trails Alliance (KCTS), presented to a room full of local resident trail users and volunteers. Mr. Spooner explained how KCTS was created, his role and the successes and challenges they've had along the way. That evening's presentation is available now and posted below. A group of local trail users and leaders gathered to hear from Al Skucas, Past President for Trails BC at the RockWater on July 22, 2013. From Cranbrook, BC, Mr. Skucas is a long-time trail user and volunteer and his passion for trails was evident with his presentation on the Trans Canada Trail and trail programs across the Province. While the Trans Canada Trail (TCT) is due for "connection" in 2017 (Canada's 150 birthday), there is no TCT support for spur lines from the TCT. However, that fact hasn't stopped strategic groups from planning and developing trails that can link up to the TCT after the opening date. The adjacent map shows that the closest TCT connection point is in Kimberley, with no plan for a spur line to run up the Columbia Valley (Source: Trails BC). With many examples of trails alliances across the Province, Mr. Skucas explained that the majority are funded through a balance of core funding through local government support, donations, grants and membership/user fees. Each organization has found a different formula and involves a different sets of stakeholders. Some represent all non-motorized groups, while others have a broader vision. Some are working together, while others have stuck out on their own, supported by volunteer passion or funding along the way. Motorized and non-motorized trail user groups have traditionally kept to themselves. 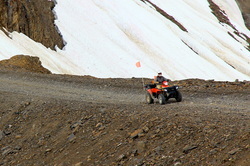 Mr. Skucas suggested that motorized trail users may be subject to licencing in the near future as BC is the only province without it. But with licencing and measurement, may come support from the Province. Some of the most successful projects Mr. Skucas has seen include "rails to trails" projects. Supported by the cities of Kimberley and Cranbrook, with land donated by Canadian Pacific Rail, the $2.8M North Star Rail Trail connects Kimberley to Cranbrook, opened in 2010 and now is the largest daily tourism activity in the region - a region where golf courses were once thought as the salvation. In fact, the trail is the most inquired activity at the Chamber of Commerce. Because of the path's high standard, consistent grade and proximity to the highway, both communities have even seen benefits. And an unlikely trails user groups, local senior citizens, have raided yard sales for second-hand bikes and almost take over the 17km paved path on week days. The Rail Trail has also been attributed to attracting new residents to relocate in the area. Kicking Horse Country can boast world-class trails in the Moonrakers (XC biking), Mount 7 (downhill) and Dawn Mountain (Nordic) areas and Golden's 10km Rotary Trails systems is a great start to developing family-friendly trails and encouraging outdoor recreation for residents and tourists alike. However, Mr. Skucas suggests that in order to get a visitor to pull off the highway and spend an afternoon (which may turn into a night stay), the community should focus on offering at least 15km of scenic trails. The proposed 'Golden to Golf Course Trail' is a great opportunity and the community should determine if it is a priority. Some communities do not stop with the construction of great trails. Across Canada, trails are being planned, designed and built with certain events in mind. With community support of events, Mr. Skucas has seen "mediocre" trails become great rallying points for community development and tourism. The "Epic Trail" concept and designation (originating from International Mountain Biking Association (IMBA)) has brought destination visitors and the economic impact that follows. Rossland and Revelstoke are two nearby communities that are reaping the benefits of their major investments and planning in signature alpine summit trails. But Mr. Skucas cautions trails leaders to look and build to the future rather than the present. Will more extreme, multi-day, destination mountain biking adventures be as highly desired as they are today or will something else be in favour? And compromise may be needed in order to attract the necessary user numbers and resources to properly plan, design, build, maintain and market signature trails. Rather than just biking trails or hiking trails or horseback riding trails, these user groups and others may be best served - and the community in general - through a collaborative effort. If they are not already, funders will be looking for this in the near future. And volunteers are always looking to where their greatest impact and benefit will be. Back towards Golden, the closest trails alliances include the Columbia River Greenways Trails Alliance and the Shuswap Trails Alliance, with the latter receiving core funding from the Columbia Shuswap Regional District (CSRD). While the Regional District of East Kootenay (RDEK) does not provide any core financial support for trails organizations, the greater Columbia Valley community may be approaching an opportunity for local governments in the CSRD and RDEK to determine a larger regional plan and funding mechanism. This would likely need to be initiated in order to access some of the Province's $100,000 budget annually awarded for regional trails planning. And with talk of rebuilding the Province's Trails Branch, now may be just a great time for Golden's trails organizations to come together and develop a broader, collaborative mandate. The presentation slides for the evening are available below. Please contact Ryan Watmough at 250-344-8610 or nonprofits.gcrs@gmail.com if you have any interest in supporting trails activities and volunteers through the Community Team process. Photo: Irv Graham, Grant Arlt, Darlene Whiting, Paul Deutch, and Jon Simpson (L to R) have a candid discussion with Trails BC's Past President, Al Skucas (R) at the RockWater on July 22, 2013.